You might like to see (if a little belatedly!) the excellent press coverage the Chichester Post gave our exhibition at the Novium for the launch last year. The LATEST exhibition at the Novium Museum is opening tomorrow, celebrating 125 years since The Chichester Photographic Society was formed in 1893. Chichester Camera Club: A Celebration of People and Places will feature the rich history of Chichester Camera Club and its development over the years. Drawing from the club’s archives, The Novium Museum’s social history photography collection and contemporary work, this showcase will also explore the way in which the district has been a source of inspiration to club members across a range of photographic genres. The Chichester Photographic Society was formed in 1893 and active until 1945 and then after a four-year break, was re-formed in 1949 under the name of Chichester Camera Club. It has continued as such to the present day and is recognised as one of the most successful camera clubs in the country, welcoming everyone with an interest in photography. 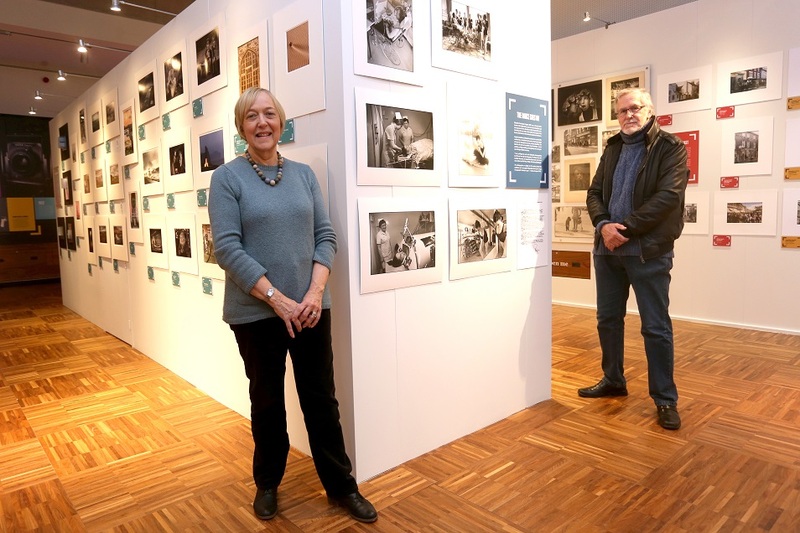 Novium Museum manager, Stephanie Thorndyke, said: “We are thrilled to work with the Chichester Camera Club to put on a exhibition of 125 years since they formed bringing together history and photography. “It’s a beautiful and rich tapestry of photographs with extremely high standards. “It’s really an exhibition which is made with our local community as all photographers are local and a big part of the exhibition is, too, with a strong focus on the district. A very varied exhibition has come together featuring work from the camera club’s archive – including lantern slides from the early days of the club. As well as a section of contemporary work, a large part of the exhibition contains photographs drawn from across the Chichester district area that show activities, the people and the geography of this diverse area. Club members have been submitting their images for a while to get the collection together, many drawn from their back catalogues, such as Dave Abbott’s late 1980’s image, for this part of the exhibition. The wider district community is also being called upon to become part of the exhibition by submitting their own digital photos for inclusion. Twenty of the best photographs from each category will be selected and displayed digitally within the exhibition. The community will also be able to take part in a monthly caption competition and other interactive elements.